Don’t miss the live chat with the Urban Sketchers Executive Board this Monday, March 2! 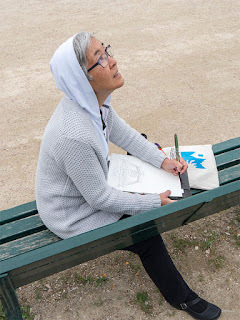 At 15:00 – 16:00 (3 – 4 p.m.) GMT and again at 22:00 – 23:00 (10 – 11 p.m.) GMT, visit the Urban Sketchers Facebook page. The board is ready to take your questions! Coventry, England, April 8 – 10, "Space Oddities - Pushing Your Sketching Boundaries in Coventry"
The third annual West Coast Urban Sketchers Sketch Crawl will be in San Diego (USA) Aug. 7 - 9, 2015. 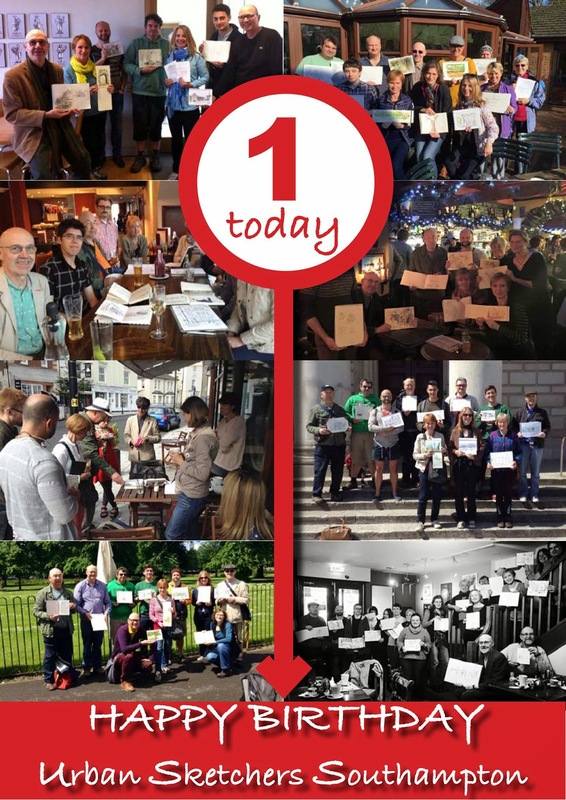 USk Southampton just celebrated its first birthday! Urban Sketchers Southampton (UK), now 159 members strong, will celebrate its first birthday with a group exhibition opening March 28 at Southampton City Art Gallery. The exhibition is part of Southampton’s “50th anniversary as a city” festivities, said Heather Butler. Organized by founding members Kay Brown and Darren Shorter, and Peter Jarvis of Southampton Solent University, the show will include sketches in four themes. In February, Urban Sketchers Málaga sketched immigrant children who are supported by the nonprofit organization Málaga Acoge to help raise awareness. “This was our first time that we went specifically to sketch children, and we really had a great time with them!” Patrizia Torres said. See sketches and photos on USk Málaga’s Facebook page. 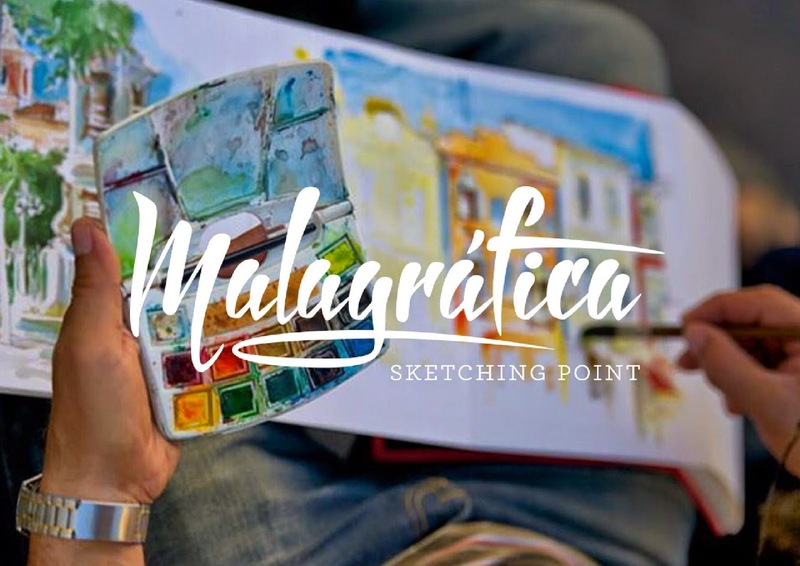 Meanwhile, the Málaga sketchers are getting ready for Malagráfica May 1 – 3. The event will include conferences and sketch gatherings at the Centro de Arte Contemporáneo and at some urban locations in the city center, the port and the botanic gardens. 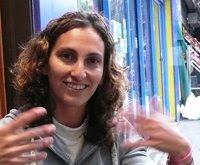 Among the lecturers are Emily Nudd-Mitchell, Gérard Michel, Luis Ruiz, José Antonio Sencianes and Alfredo Ugarte aka Urumo, said Luis Ruiz. USk Málaga gears up for a three-day sketching event. What is Urban Sketchers Costa Rica up to lately? Plenty! In January, Teletica, a major local television company, produced and showed a documentary on urban sketching featuring sketchers Erick Víquez and Fernando Villar. Then on Feb. 18, Julia Stephan and Isabel Niehaus were interviewed by Tico Times, an English-language online newspaper, about Urban Sketchers and the sketching activities in San José. Finally, only three days later, a reporter and photographer from La Nacion surprised Urban Sketchers Costa Rica by showing up at the group’s sketchcrawl. An article about them appeared in that major newspaper Feb. 22. 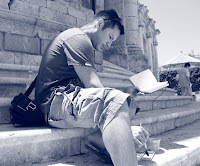 Another Urban Sketchers group that recently attracted media attention is Albania. A major TV program, Top Channel, featured Urban Sketchers Albania and talked about the Urban Sketchers movement. Beginning with only four sketchers, the growing community is “young and with a great desire to explore our country through sketching,” said Mario Shllaku. Professional and amateur artists are invited to submit work highlighting the beauty of Mount Royal for a group exhibition presented on Mount Royal, Les amis de la montagne, in association with Urban Sketchers Montréal. Many urban sketchers groups took part Jan. 31 in the 46th World Wide SketchCrawl, including Korea, France, Japan, Birmingham (UK), Los Angeles (USA) and Seattle (USA). Juliette Plisson (France) will have an exhibit of her urban sketches March 26 - April 25 at the Paris boutique Dis bonjour à la dame. 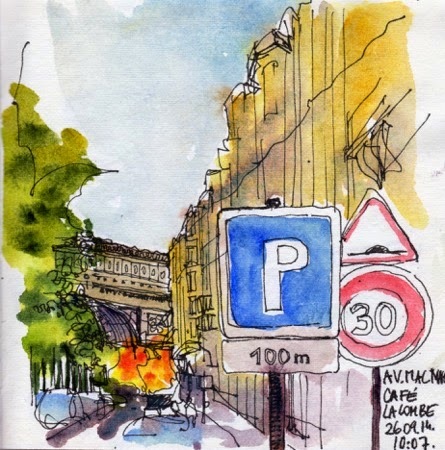 Lapin (Spain) reports that the travel sketches of 30 urban sketchers have been published in a new book, Diários de Viagem 2, edited by Eduardo Salavisa. Swasky’s (Spain) blog includes photos from a current group exhibition by nine urban sketchers at Mitte Barcelona Gallery. Veronica Lawlor (USA) is one of three artists whose work will be shown at the Artists for Art Gallery in Scranton, Pennsylvania. The exhibit, which will include Veronica’s reportage sketches, runs March 5 – 28. Lynne Chapman (UK) was featured in The Leverhulme Trust’s glossy newsletter in January about the residency she was awarded with the Morgan Centre at Manchester University. The year-long residency will involve “shadowing their research projects with my sketchbook in hand,” according to Lynne’s blog. “Urban sketcher returns to share tricks of trade” reads the headline of the article about Liz Steel (Australia) in the Launceston, Tasmania, newspaper, The Examiner. 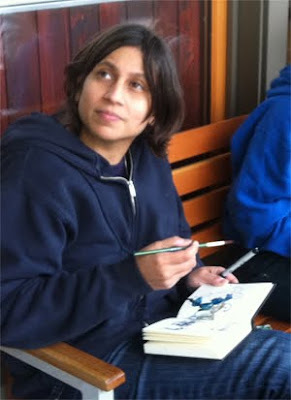 Liz will be offering a travel sketching workshop there in October. Richard Sheppard (USA) recently completed a sweet commission: sketching Ghirardelli Square in San Francisco for the Ghirardelli Chocolate Company. 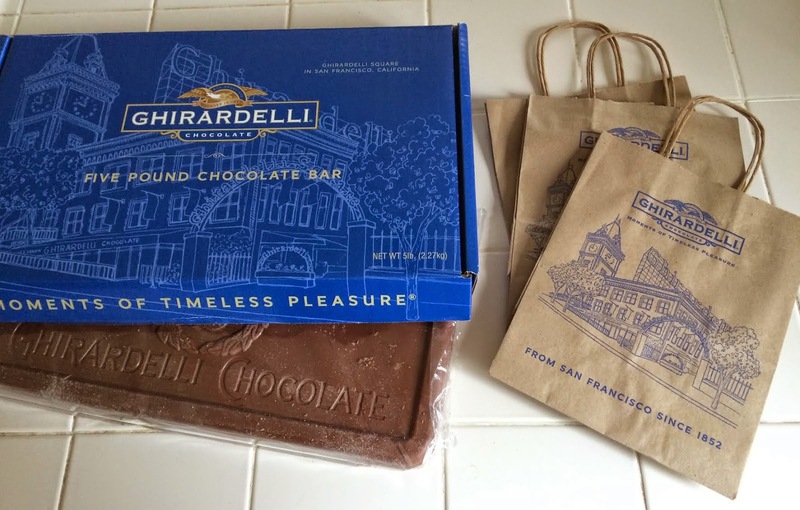 The final drawing now appears on the 5-pound chocolate bar packaging and on Ghirardelli’s point-of-purchase craft bags. Katherine Tyrrell (UK) just published a new book about drawing and sketching. Published in the UK (Apple Press), USA (North Lights Books) and Asia (English edition, Page One), the book has “Three different titles, three different covers and three different publishers - but it's the same book underneath!” Katherine said. Called Sketching 365: Build Your Confidence and Skills with a Tip a Day in the US, the book is available on Amazon.com. 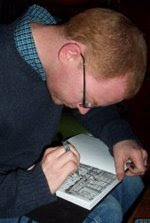 The Seattle Greenlaker, a neighborhood blog, featured Seattle (USA) artist and urban sketcher Steve Reddy and his sketches of local coffee shops and houses.